Friday, June 22nd, undefeated Claressa "T-Rex" Shields (6-0-0, 2 KOs) captured the WBA and IBF world middleweight titles after a 10-round decision win over Costa Rica's Hanna "La Amazona" Gabriels (18-2-1, 11 KOs). In the co-main event of the night, WBC and WBO world female middleweight champion Christina Hammer (23-0, 10 KO) defeated Tori Nelson (17-2-3, 2 KO) by unanimous decision with score cards of 99-91, 99-91 and 100-90. Hammer and Shields han an altercation in the ring after Claressa's win. 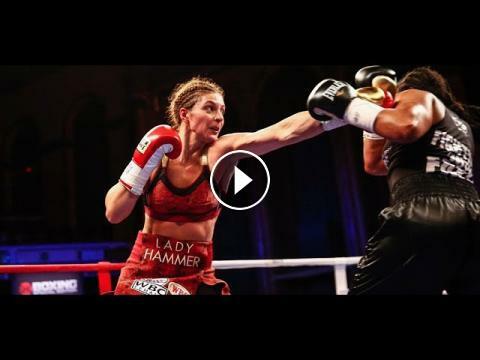 In this segment Hammer talks about her win over Nelson and a possible unification bout against Shields.